Put the finishing touch on your tree-trimming with this 13 inch Christmas Tree Topper. 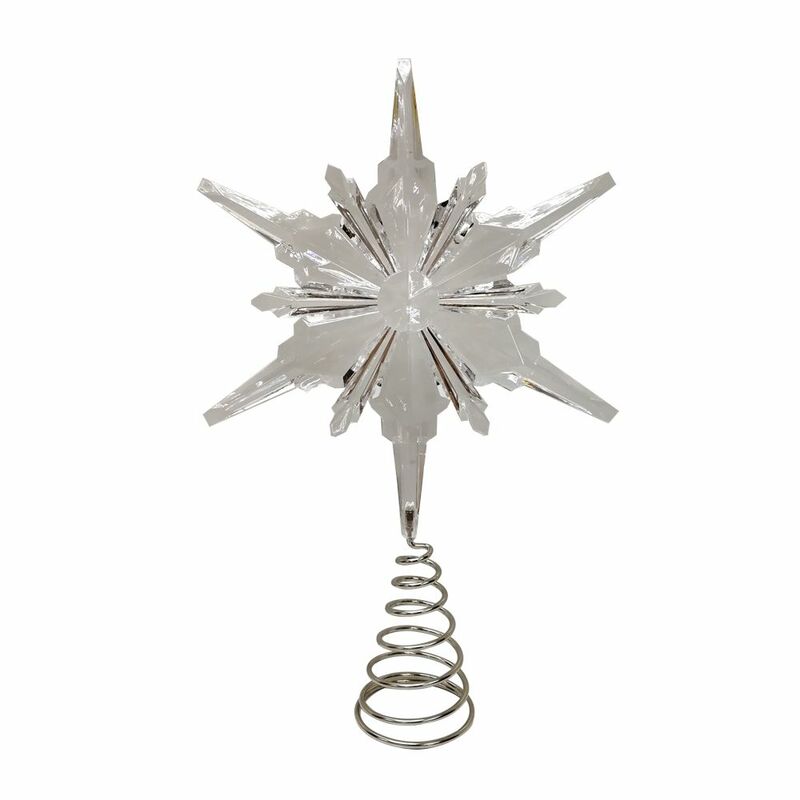 Compatible with most evergreen trees, the snowflake adds subtle shimmer to your seasonal scene. Weighing under 1 lb., it won't put too much stress on your tree top. Brighten up your Holidays with this attractive lighted dicor item. Made with sturdy wire construction and covered with high quality material for a colorful and attractive decorative item. The lights are CUL approved. Clear Chrsitmas Tree Topper Put the finishing touch on your tree-trimming with this 13 inch Christmas Tree Topper. Compatible with most evergreen trees, the snowflake adds subtle shimmer to your seasonal scene. Weighing under 1 lb., it won't put too much stress on your tree top.